When he got a hint that the Punjab National Bank has lodged a complaint against Gitanjali Group and the central investigative agencies are on the verge of nailing him down, Mehul Choksi began the process of selling all his properties and move outside India. During its investigation, the Enforcement Directorate (ED) summoned as many as 37 people from the companies of Mehul Choksi and Gitanjali Group. In fear of getting arrested under the stringent Money Laundering Act, most of them spilled the beans and supported the agency to make a watertight case against diamond merchant Mehul Choksi. India Today has accessed the chargesheet filed against Mehul Choksi, and all statements given by Choksi's employees to ED officials. In last few years, Choksi have expanded his wings from jewellery business to real estate sector. He was using bank's money to develop residential projects in Mumbai and a mall in Hyderabad, reveals the chargesheet. When he got a hint that the Punjab National Bank (PNB) has lodged a complaint against Gitanjali Group and the central investigative agencies are on the verge of nailing him down, he began the process of selling all his properties and move outside India. Siddharth Shah, Vice President (account and finance) of Gitanjali Gems, who was to assist and consult Choksi for sell/purchase and the construction of real-estate project, in his statement to the ED stated that in November 2017, Choksi asked him to complete his TATVA Project in Borivali, Mumbai, in one month and to sell all flats on urgent basis. "Choksi provided me a list of all the properties of the Gitanjali Group and told me to try to sell the properties which were lien free whereas in case of the properties, which were mortgaged. Choksi instructed me to put them on rent and take a loan," Shah told the agency. However, the ED managed to attach 50 flats worth Rs 90 crore, which were owned by Choksi. Premium of Rs 29.9 crore was to be paid to Gitanjali Infratech Ltd.
To finish the balance construction work till obtaining the occupation certificate (OC) and handing over possession to customers. The assessment of the work to be completed was done jointly by both the companies and it was estimated that Rs 45 crore including salary to project staff was required till completion (this assessment was made in the month of December 2017). The project was to be completed within six months. Total 50 flats were to be given along with 100 parking spaces to Laxmi Infra Developers Pvt Ltd. According to Vasant Gajera, director of Laxmi Diamonds Pvt Ltd, Shanti Residency Pvt and Laxmi Infra Developers Pvt Ltd, the agreed premium amount was paid between January 1, 2018 and January 24, 2018. "In November 2017, Choksi called me and asked to help in completion of his project in Borivali," Gajera told in his statement. Gitanjali Infratech Ltd, is a wholly owned subsidiary of Gitanjali Gems Ltd, which was developing one project namely, "TATAVA Project - as a residential building at Borivali. In January 2018, a board resolution of Gitanjali Infratech was prepared for giving development rights of this project in favour of Laxmi Infra Developers Ltd, which is a Surat-based infrastructure company by Gajeras. Interestingly, Gajera family members are close friends of Choksi. In her statement to the ED, Pankhuri Warange, company secretary of Gitanjali Gems Ltd revealed crucial details about the residential project. "In respect of the board resolution, no board meeting had taken place before preparation of the resolution. The decision had been taken by Choksi and as per his directions fake minutes of the meetings/board resolutions were prepared and later, informed the directors for their signatures," Warange stated. Gitanjali Infratech was to remain part of the Tatava project along with Laxmi Infra Developers, even after transfer of the development rights in favour of the Laxmi Infra. Thus, Choksi entered into an understanding with Gajera family to takeover one of their companies namely Laxmi Dia Jewel Pvt Ltd., at SEEPZ, Mumbai. "Actually, Choksi intended to get the said property transferred in the name of one of his companies namely Joyce Trading Pvt Ltd, but as per SEEPZ norms and procedures, such transfer was possible only if there were common directorship and common shareholding in both the companies", Warange explained to investigators. To complete the transfer formality, Ashok Gajera, Chuni Bhai Gajera, Vasant Bhai Gajera and Bakul Bhai Gajera - the directors of Laxmi Dia Jewels Pvt Ltd., were made directors in Joyce Trading Pvt Ltd. "In addition, Rakesh Gajera, one of the directors in Laxmi Infra had been allotted equity shares of Gitanjali Gems Ltd on preferential basis comprising of 5.75 per cent (6824226 number of shares) of the total paid up capital during the year 2016," Warange stated. 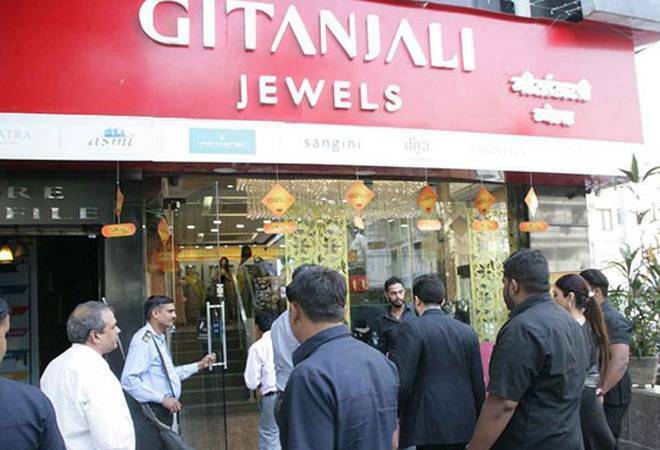 In addition, Gitanjali Infratech had given a loan of Rs 40 crore to A P Gems and Jewellery Park Pvt Ltd., for construction of a Mall in Hyderabad. In fact, two of the employees of Gitanjali group namely Gajendra Kumar Kaninde and Deepen Shah were made directors by Choksi in A P Gems and Jewellery Park Pvt Ltd.
Why should women do all the work?